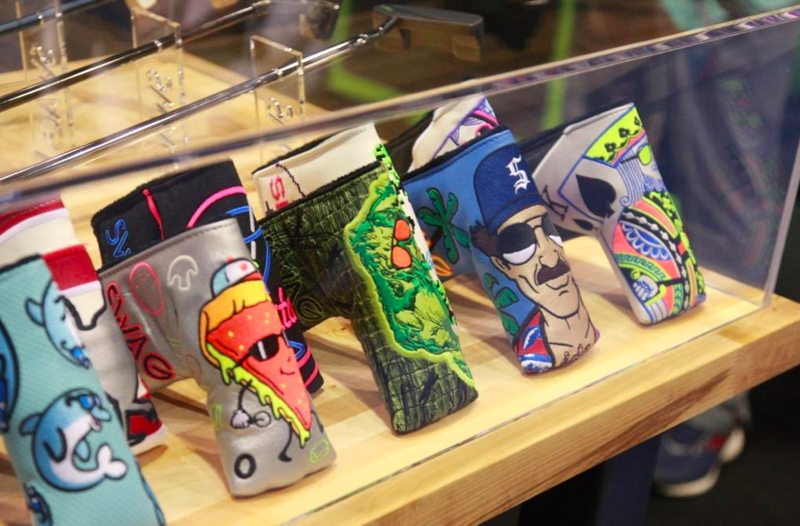 When Swingbyte, a lightweight swing analyzer that provides robust data and 360-degree views of your swings, burst onto the scene at the 2012 PGA Show, I wrote that it would be the best new golf instruction product of 2012. 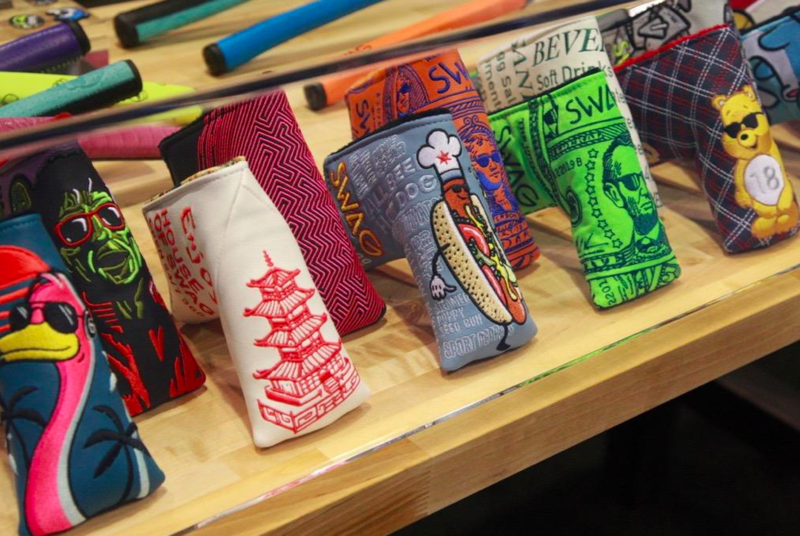 While many products were released, including a plethora of swing analyzers, the original Swingbyte stood out from the crowd and exceeded my expectations. This year they did it again by releasing Swingbyte 2, a combination of beautifully redesigned hardware and mobile apps for iOS and Android. 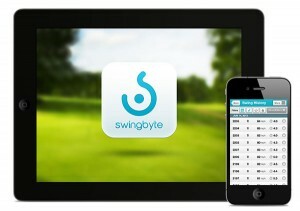 Swingbyte 2 is available now for $149 and you can learn more by visiting their website at www.swingbyte.com. The companion smartphone and tablet apps can be downloaded free on the iOS and Android app stores. Swingbyte is the complete package. New swing analyzers seem to be popping up on the market every month, but I’ve yet to test one that even comes close to providing the same level of detail, accuracy and user experience that Swingbyte provides. For those of you currently using the original Swingbyte and wondering if you should consider upgrading, I would seriously recommend it. To say the new hardware has been redesigned would be an understatement. The primary issue with the original design was that it required frequent adjustment to keep it aligned on the shaft and providing accurate data. The new wrap-around design virtually eliminates rotation, even if you’re a digger and hitting off mats. 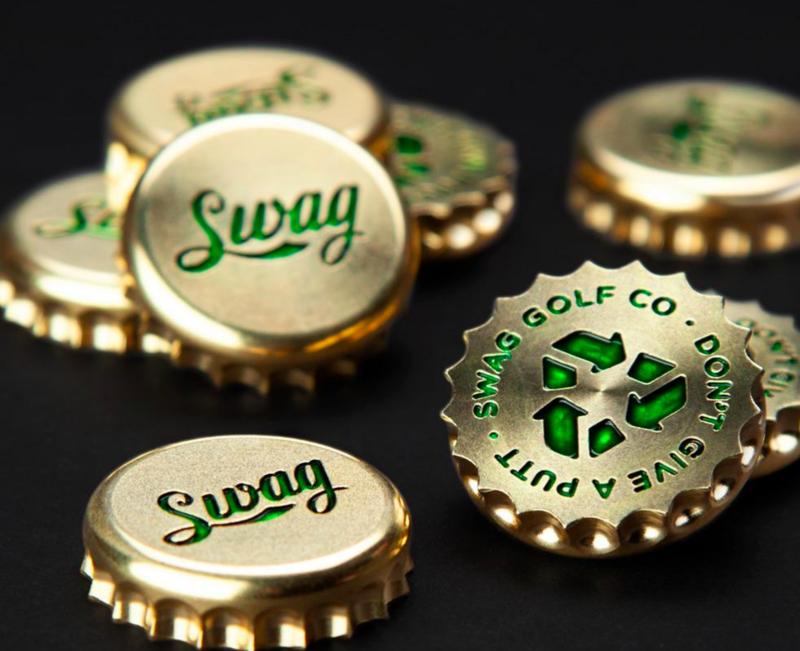 Additionally, Swingbyte will still honor the discount code offering existing Swingbyte users a $50 discount on the new hardware. 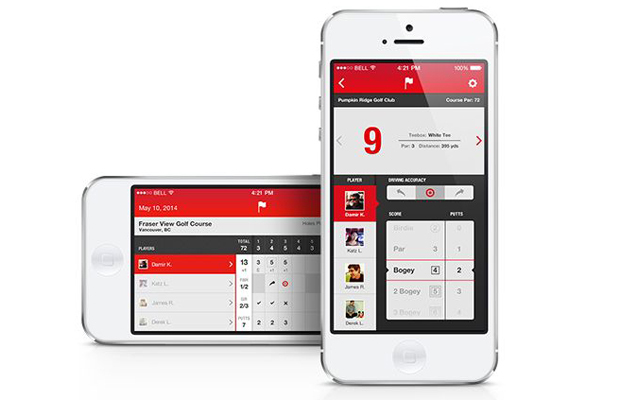 Beautifully designed hardware and intuitive mobile applications. Accurate and robust swing data. 360-degree views of your swing path. Video capture for side-by-side analysis. Lack of tips or suggestions for improvement based on the data. Data can be overwhelming for some beginners (but can we really consider too much data a con?). The new hardware is stunning. 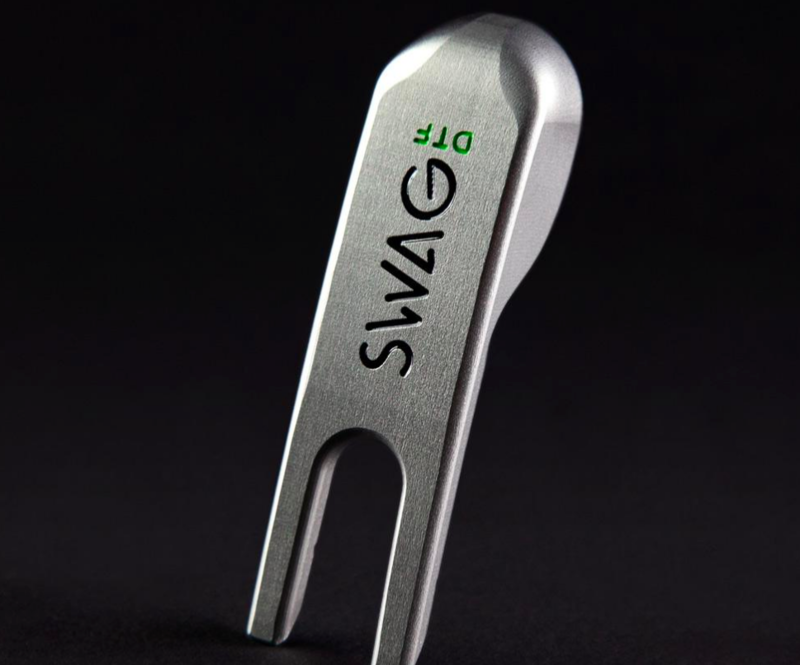 We know, just like golf swings, swing analyzers don’t need to be cool looking to be effective, but Swingbyte has designed a visually stunning piece of hardware that stands out from the crowd. 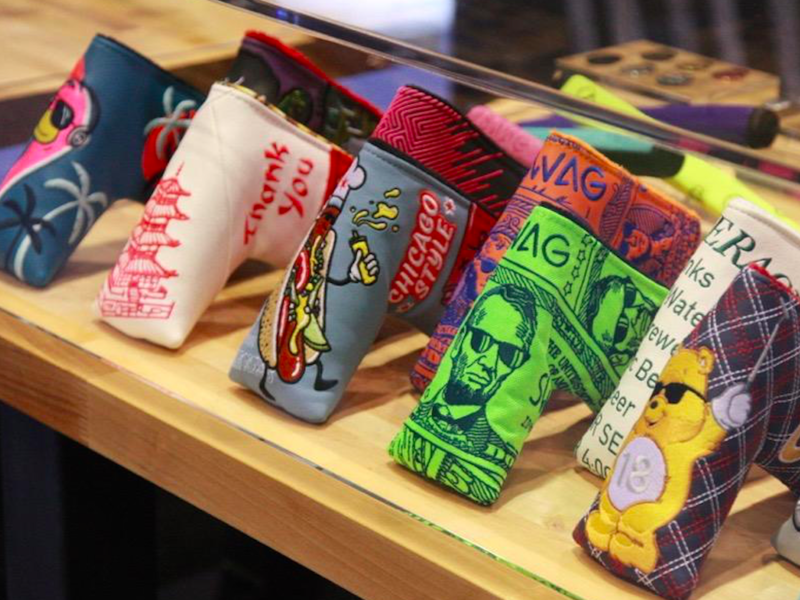 More importantly, the wrap-around design serves a very important purpose: It helps keep the Swingbyte from rotating after each shot with a new twist-resistant design. Instead of utilizing a rubber strap like in the original design, the new hardware has a high-strength rubber and spring-loaded latch. This design makes it easy to attach to any shaft from graphite to steel and holds the Swingbyte tightly in place. I take a healthy divot with my shots, especially my wedges, and tested the new latch system in multiple conditions from bermuda grass fairways to indoor mats, and found that the device only slightly shifted after numerous swings. 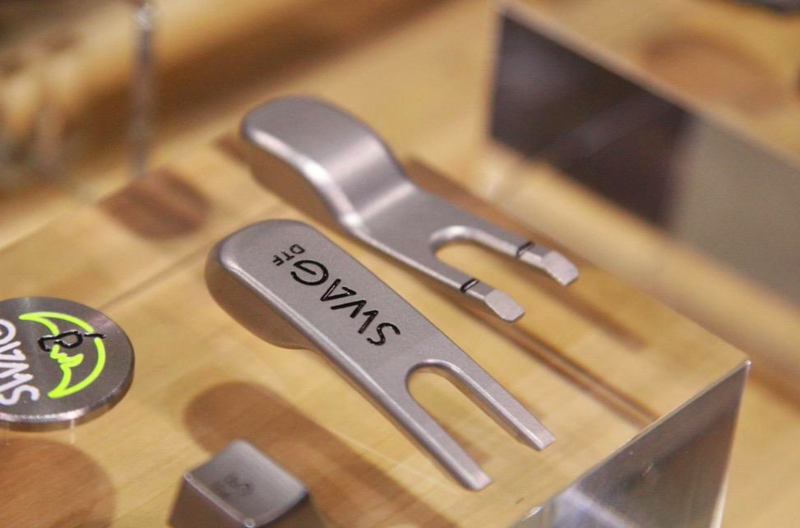 Even though the latch works in most cases, Swingbyte is focused on continually improving the product and is developing an additional latch option that works better for certain shafts. The latch will be available for free in the next few weeks and will come standard in future shipments. 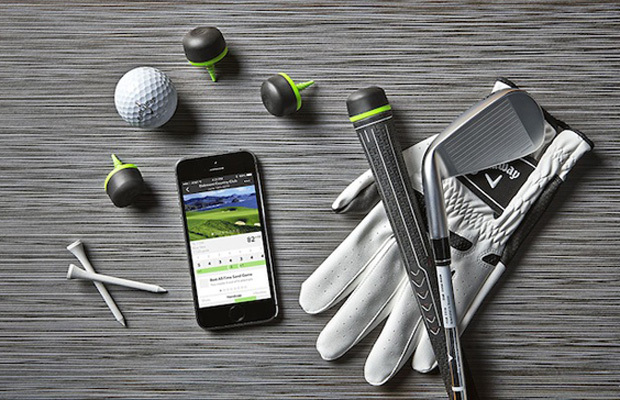 The Swingbyte mobile apps went through a redesign along with the hardware and are available for both smartphones and tablets running Android or iOS. You do not need a Swingbyte 2 to take advantage of the new apps. 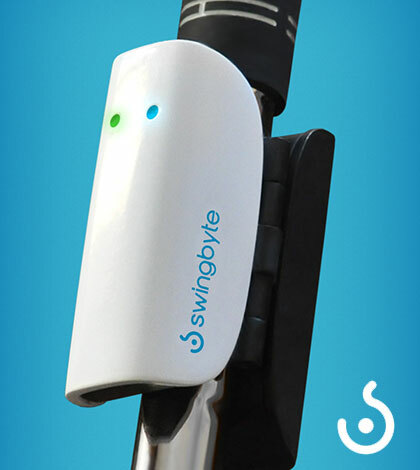 Pairing the Swingbyte to your devices is quick, easy and follows the typical bluetooth pairing procedure. The device quickly connects whenever the Swingbyte is turned on and I have not experienced any disconnect issues with the new hardware. Before you can hit a shot, you need to enter some basic club information such as length, lie, loft and flex. Having access to this information is another reason Swingbyte provides such accurate data. To say the Swingbyte application is robust would also be an understatement. The new design has created, in my opinion, the best user experience of any of the swing analyzers on the market today. It should come as no surprise that the experience on tablets exceeds the experience on smartphones, but the Swingbyte team has done an excellent job of understanding the differences between the two form factors and presents an optimal experience for both types of devices. For this review, I’m going to focus on the tablet experience, but I often use the smartphone app on the driving range and golf course. Within the app, you can clearly and easily access a previous swing in the history, compare two swings together, edit your golf bag, and of course, view your current swing in 3D with all the corresponding data. You have control over the way you view your swing data and can simply view the 3D swing path, just the data alone, or you can view the data and the 3D side-by-side. I’ve always displayed the data side-by-side with the swing path so I can begin to correlate the numbers to what I’m seeing in my swing. With the new application, you can even customize the order the data appears on the screen, allowing you to bring the numbers you most care about to the top of the list. All of these features combine together to create an application that is intuitive and easy to use. 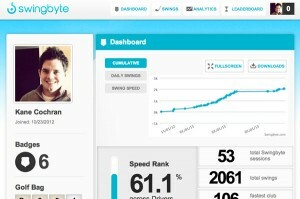 The speed of Swingbyte is impressive. It takes very little time for the app to analyze your swing and provide a very comprehensive set of data. You get access to club head speed, club loft, lie angle, face-to-path at impact, attack angle, shaft lean, tempo and all your initial angles around loft, lie and face angle. In addition to providing the raw data, Swingbyte also presents written explanations such as “in-out” for club path or “down” for attack angle, making it easier to understand each data point. 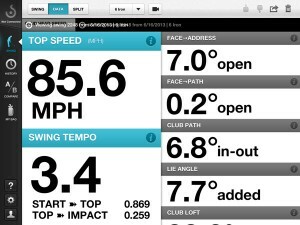 You can also see some of the data, such as club head speed and plane angle, in real-time as you review your swings. This has been a powerful feature for friends of mine who have struggled with an early release of the club head resulting in a deceleration of the club through impact. They were able to see their speed reach its maximum point before impact and watch the speed drop through impact. It has been a powerful visual tool to help them understand limitations in their swings. I’ve compared the Swingbyte data to launch monitors such as Trackman and Foresight, and while we know the Swingbyte (or any swing analyzer) won’t be as accurate as Trackman or similar systems, or provide a direct correlation between all the data points, the numbers it provides are very close. In my testing I’ve found the club head speed to be generally within 2 mph and other data points are similar. Even if they are not 1:1, after you take some swings, you will have data to use as a baseline while you are trying to improve. While Swingbyte does provide a shot shape representation, I haven’t found that to quite as accurate. Most GolfWRX readers would assume that is the case and Swingbyte also acknowledges that without access to actual ball flight information, the shot shape representation is merely a simple estimation. For most of us, we won’t rely on that data point anyway as the 3D path and other numbers are much more valuable. I know many of us work on our swings with the help of video (see below for more on this). It is a very powerful tool, but unless we have super slow motion cameras, typical video is only showing us 30 or 60 frames per second. With Swingbyte, you can view the swing from numerous angles including front on, down the line, overhead and also in 3D allowing you to view your swing frame-by-frame from virtually any direction. You can also compare two swings side-by-side. Having access to a 3D view of the swing is extremely powerful and all the swing analyzers have some version of this feature. In my testing, Swingbyte still comes out ahead in this area. The presentation of the 3D swing path is uncluttered and clear. I’ve been making a major change to my swing plane this past year and the overhead view specifically has been my go-to view. 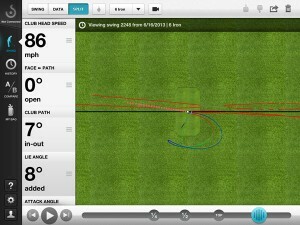 In addition to showing the actual path of the club head, Swingbyte also displays the plane lines. One of the best homemade teaching tools I’ve found for checking your plane is attaching a laser to each end of a dowel rod or club so you can see if your path is tracking down the line. Swingbyte does this automatically, which drastically decreased the amount of time it took me to ingrain the new swing thoughts and technique. I could connect what I was feeling to what was actually happening in my swing, which is a very powerful way to learn. This is the new feature of the app that makes me the most excited. With the new version of the Swingbyte application, you can now record and watch video of your recorded swing and 3D swing path side-by-side. 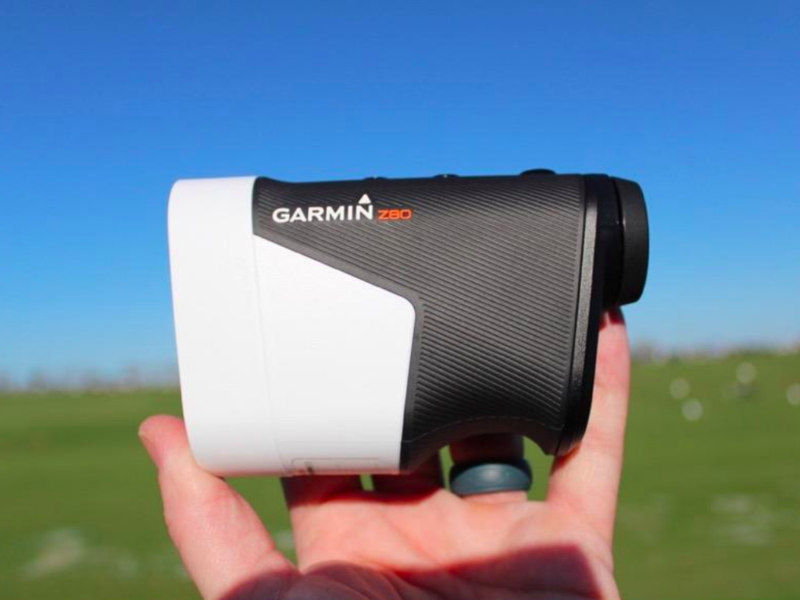 This is a true game-changer for golfers learning on their own or even with an instructor. All you have to do is set your mobile device behind you, center the golf ball up inside the circle, and hit your shots. Swingbyte will automatically record your swing and sync the video. The video is saved in the app and you can view it at any time. Out of all the balls I’ve hit during testing, only once did the video not sync up correctly and this was likely do to my own error. Swingbyte works with a real ball or even simply swinging a club and making contact with the ground, although the data is more accurate with a real ball. This gives you the freedom to work on your swing at home or outside on the range. When you’re hitting real shots, you will have detailed data allowing you to really understand the effect your swing has on the ball flight you’re seeing. You have a blend of the rich data of the simulator with the visual feedback of actually seeing your ball fly. I think a real benefit of Swingbyte is that you can also use it inside and still have the same feedback-driven practice as on the range. If you have a mat and net to hit at home, you now have data to rely on instead of just feel. This also means you can take swings at home without a ball and still have the confidence that you are making good swings. 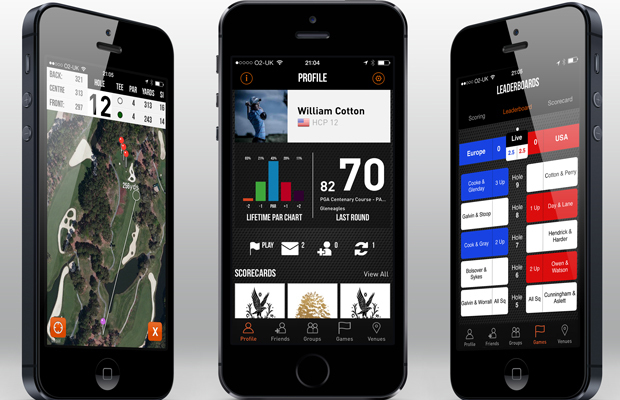 In addition to having access to your swing history within the mobile application, you also have access to an online dashboard. Every swing you take is saved in the cloud (automatically if you have a data connection or once you are connected to wi-fi) and available on every device and on the website. You can see at-a-glance statistics such as swing speed, daily sessions, total swings, and more. You can slice and dice your data to see how a particular club performed over a set period of time and you can even export your data. 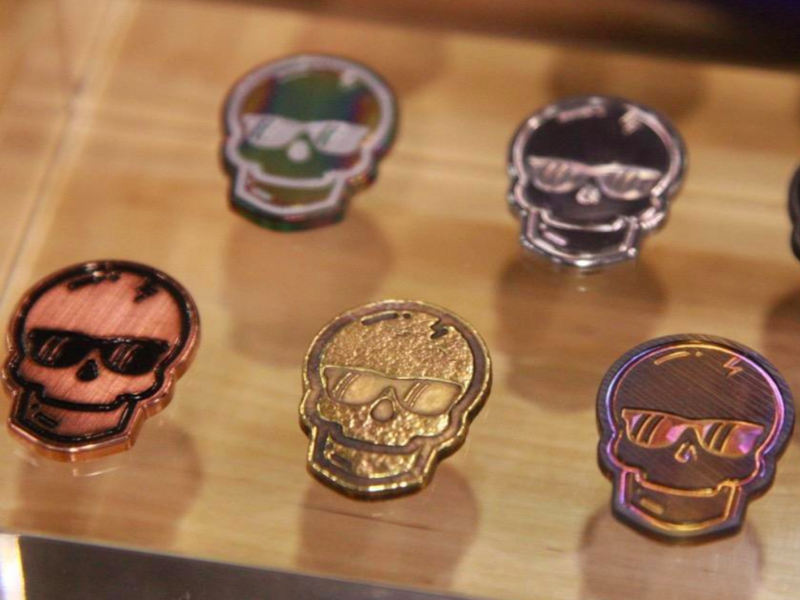 You can earn fun badges, such as the “Don’t Hit the Pin” badge for performing a set of three swings in a row all within 3 degree of each other, which provides an element of gameplay. 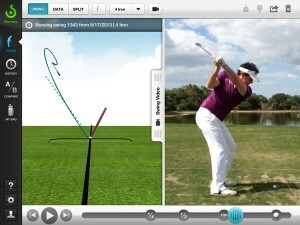 Just like the applications, you can also view the data and 3D of professional swings. While the total number of pro swings is somewhat limited, and you don’t know anything about the physical makeup of the professional or resulting ball flight, having access to their data does help provide a visual picture for what an optimal swing might look like and also what their data might look like in comparison to yours. If the product looks solid, the next important factor for me when buying or recommending a product is its support. Again, this is an area that Swingbyte shines. Its support representatives are quick to answer questions, they have a dedicated support website with lots of answers to frequently asked questions, and even the founders are eager to answer questions, provide support and make sure you are getting the most out of your device. Swingbyte is the most complete swing analyzer I’ve tested and has positively impacted my own game. 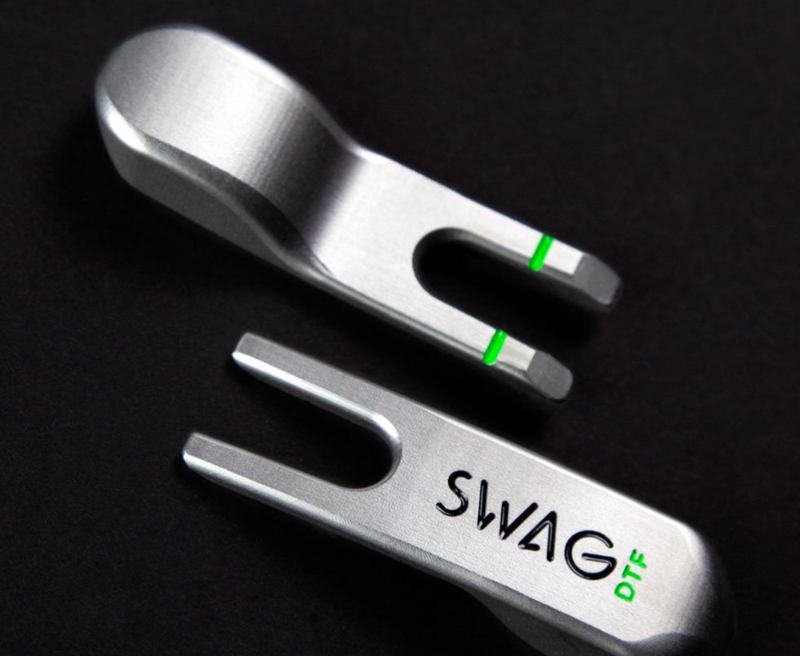 The new hardware is solid and stable, and the mobile applications provide a rich set of data and 3D animations that will help you understand your swing and improve faster. 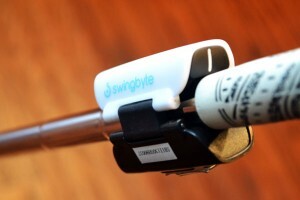 Avid golfers, beginners just starting out and instructors should all consider adding the Swingbyte to their bags. Honestly, save your money before buying this. Or at least try before buying. The numbers produced by Swingbyte are NOTHING like those on Flightscope or Trackman. Trackman had my swings as 0.3 in to out and Swingbyte (used with the same shot) said it was 16 degrees in to out. Swingbyte cant measure the club at impact because of the shock to the shaft. Instead it measures before impact. I bought Swingbyte with very high hopes but really, it is absolutely useless. I was very enthusiast when I bought the Swingbyte 2 but was really disapointed to see the numbers/shots shape provided by the device. The numbers provided where even crazier with excellent straight shots hit while the system was indicating very closed “path” and “face to path” numbers that would have resulted in strong hooks…I documented every shot and honestly, nothing is consistent, I am very concerned. Kane great review. I looked at the android app for my Microsoft surface2 but I can add it to my ‘wish list’ ! but there is no install button. Does that mean its not compatible with it ? Surface Pro 2 runs Windows and Windows correctly does not support Android or iOS apps. So no, it won’t work and you’d have to use an android or apple tablet. 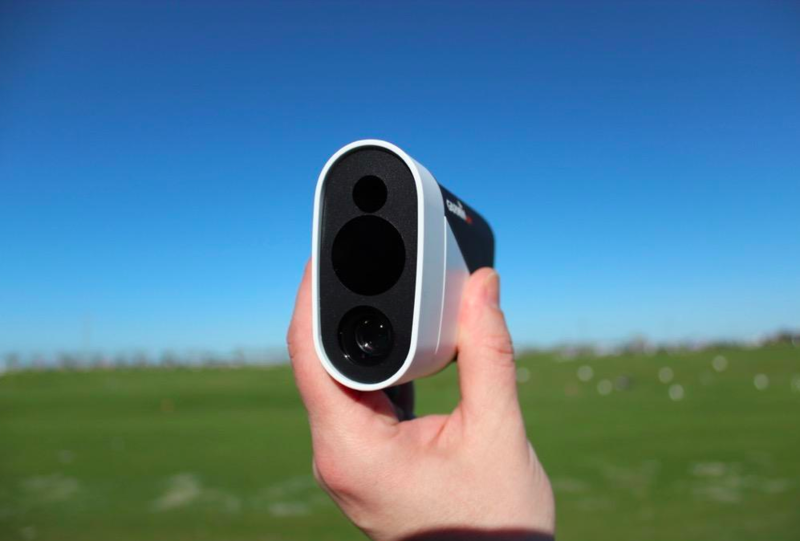 How long, once my Bluetooth pairs ( if it even pairs) does it take after hitting a shot and putting your club down, to analyze your swing and have it reset and ready for your next shot ? On average ? does swingbyte2 provide a chart of numbers that are acceptable or in line with a good swing data that we can compare our data against.. This is what i want to know also. I’ve bought it but read a few things saying although it gives you a lot of data you don’t really know if what you are doing is correct unless you take it to a pro to get them to look at it. To me this seems pointless. I thought the whole point of a swing analyser was to be able to correct yourself. If i go to a pro i don’t need the swingbyte. Hoping that a $150 swing analyzer to replace lessons from a golf pro… Realistic expectations? Maybe stop being lazy and try to understand the golf swing (lots of great reading material out there) so that you can use this device as it was originally intended for. Intriguing! Maybe a dumb question, but how do you set up the iPad? Do you use a tripod or something? Is it set up behind/beside you? etc. I have a tablet with wifi, of course, but not with cellular capabilities. Will this still work? And, how does it measure club head speed by placement on the shaft, as obviously the end of the club travels much faster than the shaft? And does it have to be placed in the exact same place on the shaft each time to get an accurate reading? I know you mention putting club specs in like shaft length and lie, but how does the device know how far up the shaft it is? Thanks! I received my swingbyte 2 . Buy a swing speed device instead of this swingbyte 2 Out of 50 swings I make 2 get recorded. Worst part is have to check after every swing if the swing was recorded and to find out that nothing was recorded. Yes Sanjay, I’ll buy it for half price. If you want to, post a reply saying you will. I’ll then post one more reply with an email address that you can contact me on. Cheers. The Android 2.0 app for tablets with in-app video is next up. Do any of these devices tie into a simulated course or video game (iOS tiger woods for example)? Would be loads of fun and add some variety to practice. …should be easy enough, right? Was looking forward to the wife bringing my Swingbyte out from the States to Turkey. Currently on back order, says a lot if they are waiting for a shipment. Is it possible to send the data and swing video to a lesson through an email or web platform? Need something like “groovemode” for beginning and intermediate players. 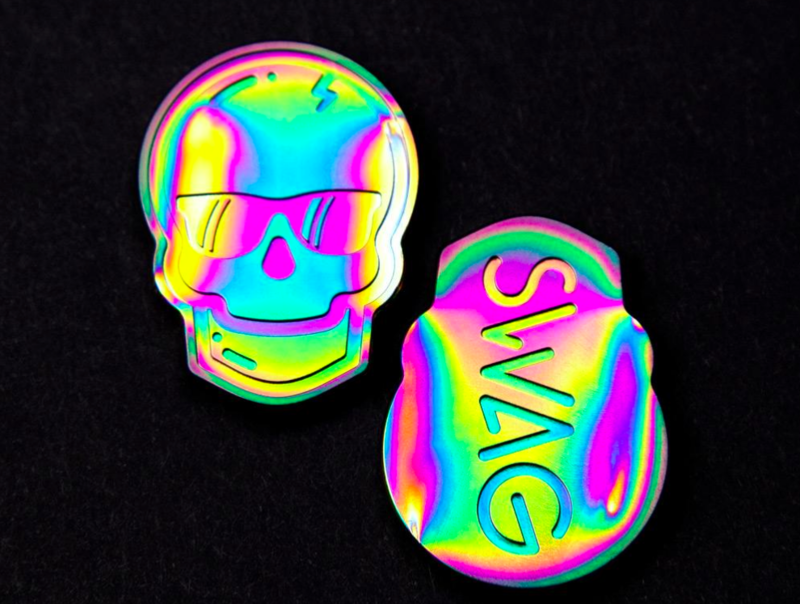 Add this and…take all my money. Good Review ! Thanks ! Quick question, is it normal to have to do Stop after one swing and Add for recording the next one ? Thanks, Chris. That shouldn’t be the case. SB2 is designed to continuously analyze your swings. If you’re having issues definitely reach out to support@swingbyte.com and they should be able to get you squared away. Thanks ! I solved the problem. Mine doesent work very well,it turns itself off so i have to turn it on almost every time to record a swing. Also very slow to connect.Must be something wrong with mine. Swingbyte has an excellent support staff that can talk you through your issue and try to help you get it resolved. Shoot them a note at support@swingbyte.com. Hopefully they can get you squared away. Kane, thanks for this comprehensive review. This is about the only gizmo-gadget that I DO NOT have yet. I really like the Ranger app you created as well! Thanks, Tom, I’m happy you liked the review. You sound like me, you’ve got all the gadgets you can fit in your bag! And thanks for your comment about Ranger, I’m excited that you like the app and I appreciate the support! Great review. Could people use this as a fitting tool? Or does the lack of carry and roll distance rule this out? Also, I am fighting a pull right now with all my clubs. It sounds like this tool will tell me exactly whats happening right? Thanks, John. 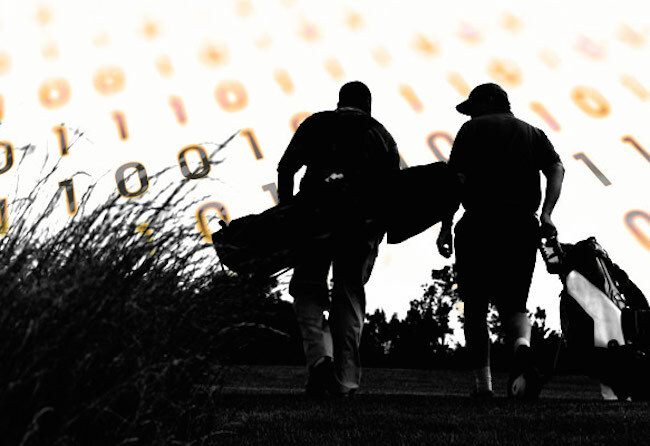 Swingbyte’s strengths are in the data and path information they deliver about your swing. They don’t have carry and roll numbers because that information cannot be accurately determined without the ball flight. But, they can help you identify if and how the pulls are happening as it relates to the club path and face angle. From there, that info can help you (or you and your Pro) work out how to fix it. Sequencing issues are a bit more challenging. There are apps out there that can help in conjunction with SB, but SB’s primary focus is on accurately showing you what the club is doing throughout your swing. Hope that helps. While I liked your review, the device seems complicated. By that I mean I’m not sure I would understand what all the data means. Don’t you think that we can sometimes get lost in the numbers? Thanks, Sean, I’m glad you liked the review. I agree that we can definitely get lost in the numbers sometimes, and SB provides a ton of valuable data. Others here have recommended taking the numbers to a Pro (or using this with the Pro) and focusing on just a few important numbers. Thats an excellent idea. SB does provide high level explanations of each data point as well, which at least provides a base. But one cool thing I like about SB, is that I can turn the data off. You have the option to show the 3D Swing Path, the Data, or show both on the screen. If you’re a visual learning, the path might be all you need to improve. If you’re a data junkie (and I’m guilty of that), you can see both. But the choice is yours. Thanks again for sharing your thoughts! Hi, Kane. I find your review quite helpful. I have read the thread on the sky caddie product as well. The distinct feature about that was the groove. I wonder if you have had any experience with that? I am in market for a swing analyzer product as I like to tinker with my swing a lot on my own late at night :)Thank you once again for a detailed review. Thanks, toehit, I’m glad you found the review helpful. Sounds like we’re very similar, I’m definitely a tinkerer too! I have not had a lot of hands-on experience with the sky caddie product, although I’d love to give it a thorough test. I’ve heard good things about Groove and if I get a chance to check it out, I’d be happy to share any thoughts. Angle of Attack is an important figure in my game. If I read this correctly this can be 6 degrees out? So I could be hitting -1 and recieving a figure of +5 or -7? Hi Mike – Angle of Attack is important to my game as well and something I’ve been working on (to shallow it out a bit). I’m not sure where the 6º number came from exactly. But, while I haven’t spent a ton of time comparing directly to Trackman (or similar) numbers, when I have, the data has been pretty accurate. There are other excellent sources online that have done similar (and more scientific) tests and they have found the numbers to be pretty accurate as well. Also, even if the number presented isn’t 100% accurate to the degree, as I’ve hit more swings and collected baseline data, I’ve been able to see how swing changes have affected that specific number and I know if I’m heading in the right direction. I’m happy they report that specific piece of data. Hope that helps. This thing is exactly what i have been looking for, it shows me all the flaws in my swing path,plane and clubface position.If you have any education in the mechanics of e golfswing, this is truly invaluable.One problem though,it stopped recording my swings after 2 days. I sent a e- mail to support on saturday. Hoping to hear something back monday because this has improved my swing already. My pro is going to pick one up this week if it is reliable. Thanks for sharing your experience, Kirby! SB2 has come a long way from SB1 and its a much more stable product. The Swingbyte support team is very attentive, which is another plus. We’re several grouped volunteers plus opening up a new structure in your community. Your website presented us all with worthwhile details to operate on. You might have done an impressive job and also our full set will probably be thankful for your requirements. Thanks for the review Kane. Any chance we might see a digital swing analyzer shoot out with all these little gadgets available on the market to be done on WRX? Is it available in the uk yet ? Hi Paul, received mine from UK supplier yesterday. Only used in my living room to hit a couple of chips into my sofa, and love it! Hi John. I’d love to test all of them, but I haven’t had the chance yet. I have tested a few of the others such as 3Bays GSA Putt and Pro (both really good, too). I’m actually working on a review of PUTT now that might make it online. There are great aspects to each of the swing analyzers I’ve tested. But what I can say is that this particular review is based on over a year of actual experience with the product and reflects how I feel about Swingbyte. I hope it serves as a good overview of the key features. 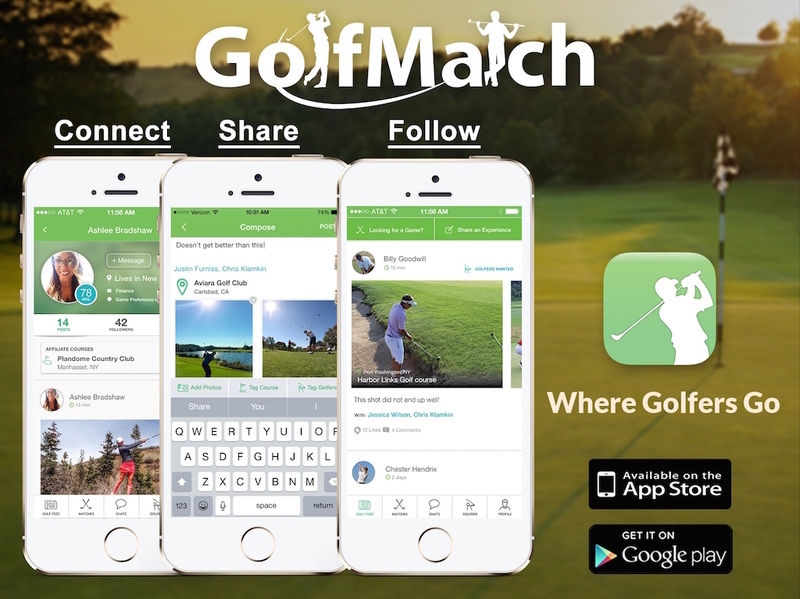 There is a Golf Bag section of the app (tied to your account so you can edit it online as well) that allows you to enter all the details of your specific clubs including length, loft and lie. The club-specific data is used in their final calculations. is it also useful for putting, or just full swing analysis? Yes, you can also use it for putting. The same data points are available as well as the 3D path. 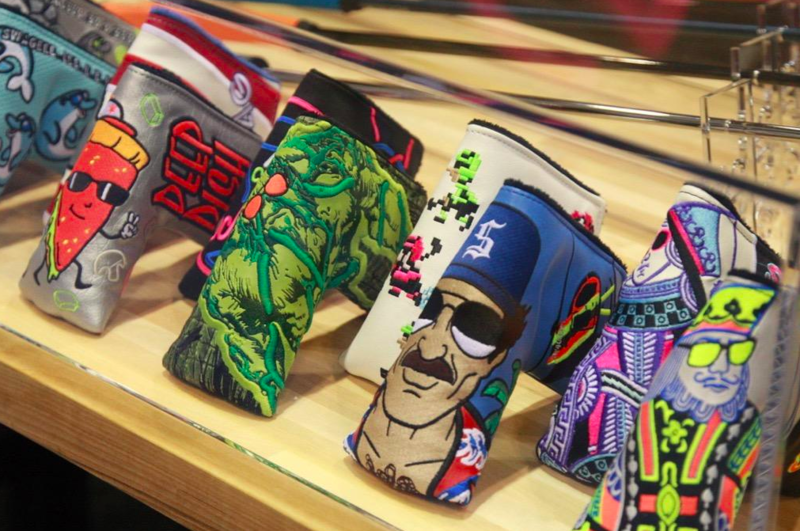 I am the putter physicist/designer at Quantum Golf Putters and we were very excited about your product. 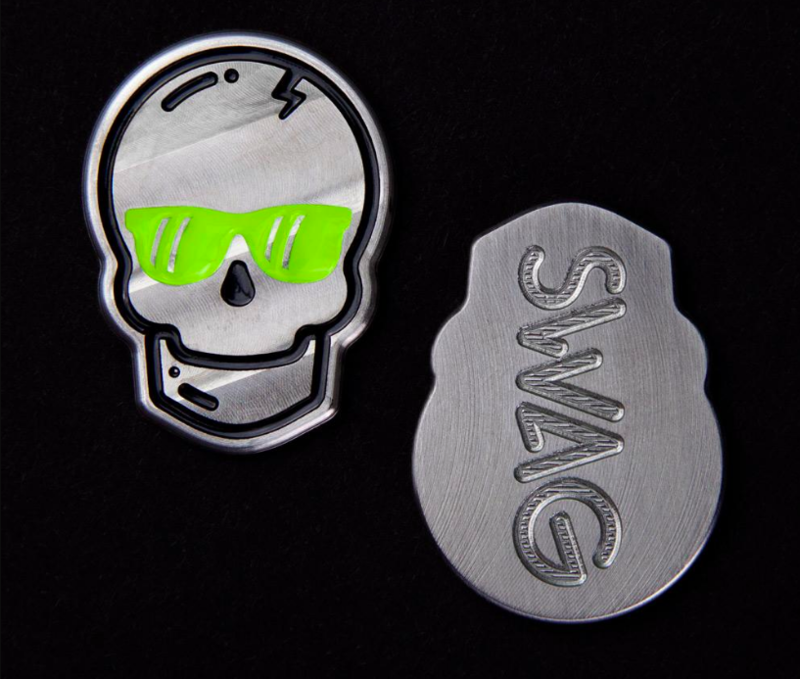 Our putting scientist ordered one because we were led to believe that it would work on putters. It does work on putters that have high impact vibration (light weight heal shafted putters), but it does not work on our putters because we have made minimizing shaft vibration a priority. So Quantum Putters do not trigger your device on putts less than 30 feet. That is a disappointment for us, but you still have a great product. Hi Duane – Thanks for your comment! I’ve tested SB on many putters and they all have registered enough vibration to trigger a hit, so it is very interesting to hear from you and your specific putter. I haven’t had the opportunity to roll putts with a Quantum Putter, but I can say they have one of the most unique, yet simple designs I’ve seen. I’m sure rolling putts with one is a very unique experience and I hope to try one out some time. Thanks for your comment. Duane – our support team has been working with your scientist, and we think it’s a one-off issue, not something to do with the putter itself. It should work fine, but we’ll keep working with Rick to get to the bottom of this! Hey Steve. The Android 2.0 app for tablets with in-app video is next up. The company said it should be available within weeks. App updates for iPhones and Android smartphones will follow, although the smaller screen size of phones won’t allow for side-by-side comparison, you will be able to toggle between the video and the data. I hope that helps. No tips on what is wrong and how to improve…epic fail in my opinion. Especially when most of the competition is providing this feedback. It seems like if you can interpret the data that you are likely a very experienced player with a decent swing to begin with. The high capper like myself can have all in the info in the world but without help on how to interpret it, it might as well be in another language. this is a device to help monitor the in mesearuables…not a golf coach. I pre-ordered SB2 and have been very happy with it. Unlike the previous version I do not find that it swivels around the club (fatal for data accuracy) except on rare occasions, perhaps two or three times per large bucket. The only thing I would say about the data accuracy is that I feel the driver can get a little off due to rotational torgue in the shaft making a reading by the grip(where the device is placed) differ from a true club head reading. I don’t believe the design of any of the competition devices would not also suffer from this same defect. For 150 dollars, your getting data that is more than accurate enough to be commensurate with the price. Demanding trackman accuracy from a device that is literally less than 1 percent of the cost of a trackman is just not fair or reasonable. 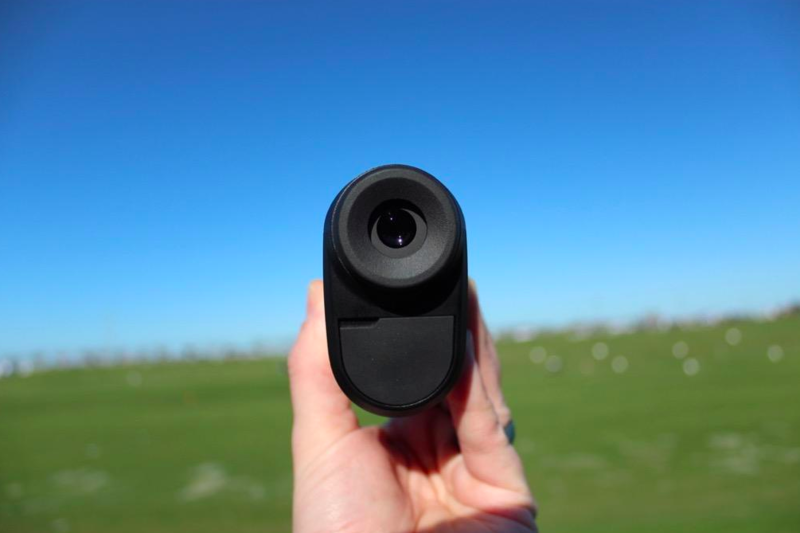 You just need the device to be internally accurate so that you can tell what numbers are producing your best shots, and see how bad shots are deviating from those numbers and whether the fixes you’re attempting are actually getting you any closer to your target numbers. That’s what I purchased the device for and I have found it very helpful. I completely agree with you, Nick. Spot on comment. Yep. It measures time to top and top to impact and gives you a tempo number. You’ll be able to take a look and adjust (if necessary). I have a SB2 and have been pretty happy. It does have one flaw in that the cover over top of the USB port comes off and/or breaks. The support staff at SwingByte was fantastic about it though, sending me a couple of replacements. I secured it in place with an elastic, which works okay. If this is the “latch” that you are talking about for the future, I look forward to receiving it. All in all, very satisfied with the purchase. The software is well done, but I would agree with the sentiment that there is not enough advice for what to do based on the numbers. I would appreciate at least trying any tips it could provide. The numbers are a little overwhelming. Thanks for your comment and insight into your experience with the product, James. I’ve noticed the USB port cover a couple times, too, especially when the device is lower on the handle than it should be. When I have it up by the grip, the grip seems to actually keep it in place. I totally dig the alignment line, but agree that if the cover could stay slightly more connected it would be good. The new latch is actually the rubber/latch combo that tightens and secures SB to the shaft. It works well for the majority of shafts, but for some shafts out there, the latch still doesn’t provide a secure enough fit, so they are creating another version. I also agree the USB cover opens way too much, it’s a slight nuisance but doesn’t affect the performance of the device vis a vis the data like a rotation of the device around the shaft would, so frankly, I just ignore it most of the time. Will the device attempt to calculate a carry distance for the swing? Swingbyte does not estimate carry distance at this time. Other swing analyzers on the market do attempt to estimate carry distance, but SB has decided to focus only on numbers related to the actual swing. Does that mean people who buy the device now will get the upgraded latch later for free, its user replaceable? Yes, SB will be emailing current owners with instructions when the new latch is ready to go. They will ship it out to you free and the old latch just pops out and the new one pops in. Haha, this device looks like a lot of fun for the number guys out there. Is the tool able to measure/display the closure rate of the clubface or face angle around impact, not only at adress and impact? SB2 will definitely make the numbers guys happy! You can also simply view the 3D swing path if you’re not as interested in the numbers. There are a few data points that you can watch in “real time” including clubhead speed, plane angle and face-to-plane. Unfortunately, face angle to path or address is only available at address and impact. Thx for the quick reply, I think face-to-plane in “real time” should give you a good idea of the closure rate, shouldn’t it? @Michael Yep, Swingbyte is available on Android devices as well. Gingerbread and Honeycomb or later. Hi Kane, what you have neglected to mention or perhaps realize is it the new app is not fully compatiable with android. The main reason I chose this product over others was the ability to use video but this does apply for android hardware as I found out very disappointing and misleading is not mention anywhere and a worry that you missed it too. On the dashboard there is the face angle to path viewable in every clubheadposition… Not only at address and impact.